More than two months after Columbia County's code enforcement officer was placed on paid leave amid misconduct allegations, the county says it's doing its best to address complaints. Todd Dugdale, director of Land Development Services, says his department has taken 16 reports of code enforcement violations from residents in unincorporated areas of the county since mid-April. To date, they've resolved three. A preliminary investigation has been done on each of the cases, Dugdale notes, but acknowledges the inevitable backlog. In April, the county placed two of its employees — Robert Crain and Linda Crain, husband and wife — on paid leave pending an investigation into alleged misconduct connected to their positions in the Land Development Services department. Robert Crain is the county's only code enforcement officer. Linda Crain is a permit technician with LDS. 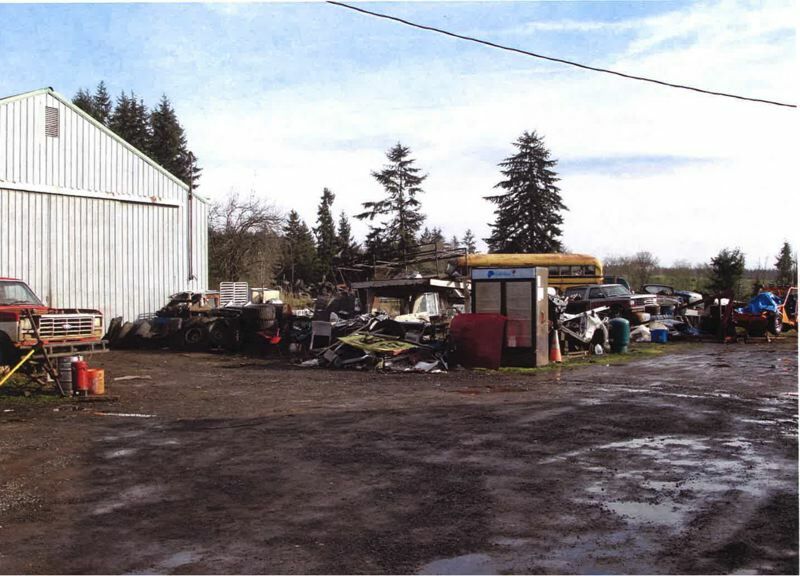 On April 11, the Columbia County Sheriff's Office executed a search warrant on the Crains' home in Scappoose, along with their work offices within the county, after evidence of possible coercion between the employees and a county resident was uncovered. No arrests were made, but the couple remains under investigation for potential charges of official misconduct, coercion, criminal conspiracy and aggregated theft. As of Tuesday, the county's human resources director confirmed both remain on paid leave. "We're going to have to figure out what to do with that position," Dugdale says, noting other LDS employees have been assigned to help with code enforcement duties in Robert Crain's absence. "We've assigned the cases that come in to appropriate other staff here in the various programs," Dugdale explains, noting the code enforcement office provides administrative support to four other programs within the LDS department, including planning and solid waste. "If it's a solid waste complaint, I've asked the solid waste person to go inspect that," he says. It's not just his employees stepping in to address issues. "I've been involved more with code enforcement since we've lost the code enforcement officer," Dugdale notes. The LDS director has his hands full at a time when he's also preparing for a departure from his position. Dugdale is set to retire at the end of the year. For now, he says he wants to leave the department in good shape. That goes for the rest of the county, too. After a Rainier resident took to social media earlier this week to air concerns of an overflowing garbage bin at her mobile home park and relay the absence of code enforcement activities in the county to a citizen's group, Dugdale reiterates that the department is still actively addressing complaints. "We're not ignoring complaints," he says. "We're doing the best we can with existing staff."